If you loved the Beer Buckle, you’ll love The Wine Lanyard. 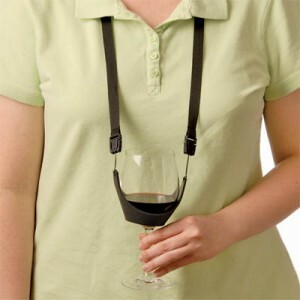 Strap your wine around your neck like a real ‘Merican! The black nylon will match your fanny pack.